The statue of Abraham Lincoln was recently set on fire and vandalized in Chicago, according to an alderman who posted the picture of the charred bust on Facebook. “What an absolute disgraceful act of vandalism,” wrote Alderman Ray Lopez. “This bust of Abraham Lincoln, erected by Phil Bloomquist on August 31, 1926, was damaged and burned,” he added. The statue is located at the corner of West 69th Street and South Wolcott Avenue. 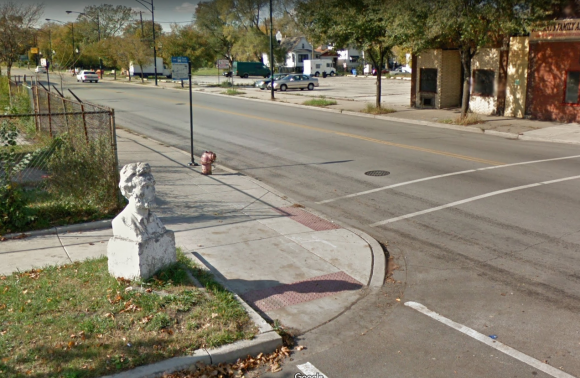 Google Street View images from 2015 shot the statue resting on the corner. Lopez is asking anyone with information about the act of vandalism to contact police or his office immediately. Lincoln, a Republican, was the 16th president of the United States. He led the country through the Civil War and abolished slavery. 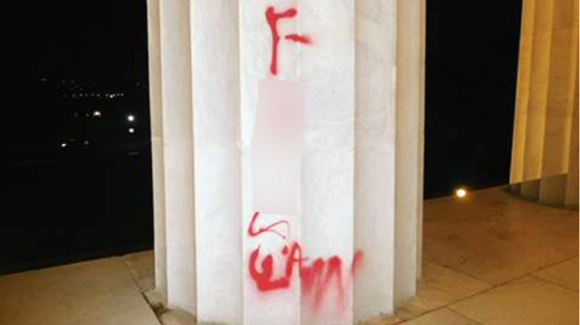 On Wednesday someone used red spray paint to vandalize the Lincoln National Monument in Washington. The vandal wrote “[expletive] law” on the column at the top of the steps that lead up to the statue of seated Lincoln. The graffiti was found at 4:30 a.m. on Tuesday, NBC reported. Preservation crews were working to remove the paint, using a “mild, gel-type architectural paint stripper” to take off the paint safely. On Monday, vandals toppled a Confederate statue in Durham, North Carolina. Police arrested a member of the communist Workers World Party and two other suspects in connection to the incident. Late on Saturday night, a Confederate statue was vandalized with orange paint in Kentucky. City workers started cleaning the statue dedicated to Confederate soldier John B. Castleman on Monday. The Kentucky and North Carolina incidents were triggered by violence in Charlottesville, Virginia, on Saturday. People protesting the removal of a Confederate statue there, including extremist white supremacists, clashed with armed and violent members of the Antifa extremist group.